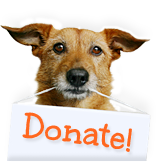 PAWS for Love on Valentines Day – Sponsor a Cat or Dog in Honor of the Ones You Love! Valentine’s Day is coming up and nothing says, “I love you” or “Hey, you’re a great boss/roommate/pet sitter” like the purrs of a kitty or the sloppy kisses of a pooch. This year don’t give flowers and chocolates, send a personalized PAWS for Love card to that special someone! 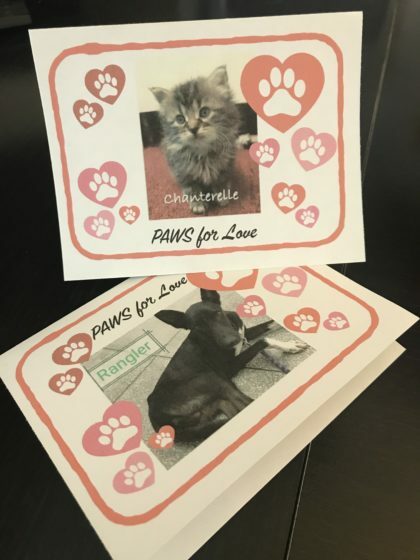 For a $75 donation to Homeward Trails, we will send a personalized PAWS for Love card featuring your choice of dog or cat, letting your special someone know that a gift in their honor has helped save a life. You can even write a personal note to your loved one that will be included in the card! All cards will be mailed just prior to February 14th, ensuring this special surprise arrives as close as possible to Valentine’s Day. All donations must be made by February 9, 2018. Follow the simple instructions HERE!